Tires 2 U is proud to offer Continental tires. Continental Tire was founded in 1871 in Hanover, Germany and their 150+ years of dedication has made them leaders in the industry. They are known for spearheading technical innovations, and are the second largest European tire producer. Continental is particularly famed in the racing industry, where they are the official tire of the IMSA and the chosen tire for three of the four classes in the TUDOR UnitedSportsCar Championship. 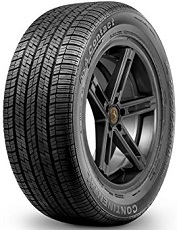 They offer a large application of tires, with models for passenger cars, crossovers, sport utility vehicles, light trucks, and competition vehicles.